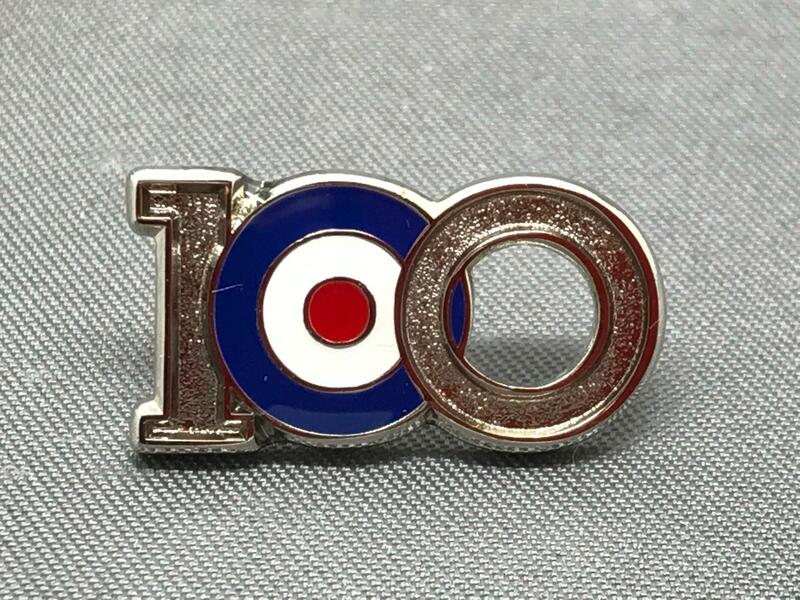 2018 marks two crucial Centenaries ..... the beginning of the RAF on 1st April 1918 and the end of the First World War on 11th November 1918. Coincidence? By the war’s end in November 1918, the RAF had dropped 5,500 tons of bombs and claimed 2,953 enemy aircraft destroyed, gaining clear air superiority along the Western Front and contributing to the Allied victory over Germany and the other Central Powers. It had also become the largest air force in the world at the time, with some 300,000 officers and airmen—plus 25,000 members of the WRAF—and more than 22,000 aircraft. All achieved in little over 7 months! In honour of all our armed forces, past and present, fallen and survived, we're proud to be official supporters of the Royal British Legion and their fund raising efforts each year with sales of our poppy pins, tie slides and cufflinks. Our poppy pins may not be the biggest but we think that's what makes them the best. We believe that a poppy is not just for November and that our poppy items are perfect for wearing anytime .... and should be .... because our heroes deserve to be remembered all year round. At least 30% of the sale price from every item sold goes to the Royal British Legion, helping them to continue the amazing work they do supporting our serving and veteran forces and their families. We're trying to expand the range of our poppy items continually so that there's something for everybody and welcome suggestions for new designs. So far we've raised over £14,000 on behalf of the Royal British Legion. This year, with your support, we're hoping to expand that total to £20K plus. Until the end of May we have a special discount available to readers of our blog. Use the code Blog05 to get 15% off your order. Find out here what we're doing, get the news on the latest designs and exclusive discount codes.